UPDATE: 7/28/2014 This Porsche has been withdrawn from the sale. Right now we don't have any additional details. While we did reach out to Gooding, they simply told us, "The car has been withdrawn from the sale. Gooding & Company does not comment on property withdrawn from our auctions." We'll let you know if we can get additional details. Probably one of the most significant Porsche lots to come up at auction in quite some time, this 917, chassis number 024, just might break a handful of records when it sells at Pebble Beach in August. It has all of the touchstones that a high dollar Porsche should have; This chassis is said to be the first 917 to enter competition, it was owned by one of the most prolific Porsche racers of the 1960s and 70s, it was cast as the race winning #22 in Steve McQueen's "Le Mans", it was stored in a barn and forgotten for 3 decades, and it was restored to its former glory. How could it get any better? 917-024 started its life in 1968 with the early 917 bodywork, including suspension controlled movable rear winglets. The Porsche was driven in competition at the 1000 Kilometers of Spa in early 1969. In testing, the Porsche did not fare well, showing what little was known in the field of aerodynamics at the time. Jo Siffert condemned the car, saying it was "not only unstable, but it is frankly dangerous", and opted to drive a 908 Longtail instead. With Siffert and Redman both opting out of driving the new 917, that left Gerhard Mitter and Udo Schutz to test the car out. The pre-race testing procedure that the team placed on the car was somewhat taxing on its 4.5 liter engine. Exacerbating the issue, Mitter suffered a minor shunt into a tire barrier which misaligned the front suspension. With the extra force required to push both the car and its dragging front tires down the long straights and high speed curves of the old 14 kilometer Spa circuit length proved too much, and the engine expired well before the 1000 kilometers were reached. After Spa, 917-024 sat around Werk 1 for a while, waiting to be repaired. In early 1970, the car had its front suspension rebuilt, an improved yet unproven 4.9 liter engine was installed, and 1970 Kurzheck bodywork was built up for the car. In its new and improved condition, the car was sold to its previous dissenter, a Mr. Jo Siffert, on the condition that the engine was merely a lease, and must be returned after June's Le Mans race. Siffert, in turn, leased the car to Steve McQueen's Solar Productions as part of a large parcel of cars for $5000 per week. The 917 was prepared by John Wyer Gulf Racing, and painted up in the now-iconic powder blue and orange. As Siffert himself was already contracted to drive a Wyer 917 with Brian Redman, the driving duties of the Solar Productions car were taken up by Brian Redman and Mike Hailwood for the 1970 Le Mans Test Day. In a Wyer specified short-tail configuration, as modified by John Horsman, the Solar Productions/Gulf Wyer Racing #22 car managed the fastest time of the weekend. Presumably, all of 917-024's film scenes were completed during the pre-race test, as the car was not entered in the race. While 917-024 never took a checkered flag in its racing career, having retired at Spa, and never raced at Le Mans, the car did take the checkered flag as an actor. McQueen's 'Le Mans' movie clearly depicts the #22 as being one of the hero cars of the film, and the one which is driven to the fictional victory. 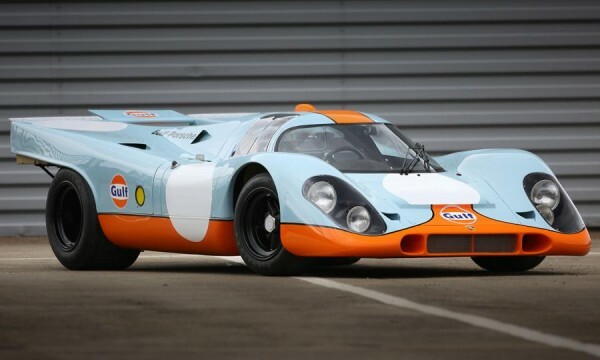 We all know that 1970's victor was the white on red car of the quasi-factory team, Salzburg Racing, but the Gulf colors of 917-024 have become iconic and familiar in part due to that final scene of McQueen's famous film. Following the Le Mans race, Solar Productions returned the 917 to Jo Siffert, and Jo Siffert returned the 4.9 liter engine back to Porsche Motorsport. The engineless car then sat for a while in Siffert's car dealership as a way of attracting attention to the showroom floor. Just over a year later, in October of 1971, Siffert himself was killed in a post-season non-championship Formula 1 incident. Perhaps befitting of the legendary racing driver, his 917 was the car that led his own funeral procession. Following Siffert's death, many of his possessions were sold off, including 917-024. In 1972, a 917 Kurzheck was just another used up old racing car, and in this case, not a particularly successful one. The 5-liter cars were banned from competition in the World Championship at the end of the 1971 season, and from that point, the 917 no longer had a market in which to race. This car, therefore, simply went into storage. Purchased by an already aging French farmer, 917-024 then entered something of a static period of its life. The old farmer didn't have any desire to go racing, nor apparently the funds to supply the 917 with a new engine, and as such, the car simply sat. The car was tucked away in a granary not far from Paris, France, and continued to sit there for 30 years. In early 2002, the elderly farmer passed away, and his successors were forced to sell off his assets. 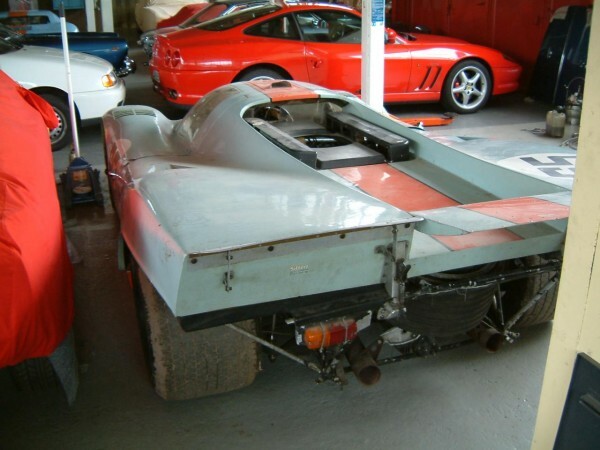 What had always been known as "the lost 917" was found in a barn, and sold off to a Swiss motorsport enthusiast, who passed the car on to Ferrari restoration specialists Modena Motorsport for a 3-year refurbishment. When found sitting in that barn, the car was still sans engine, and the interior had become a habitat for mice. Some of the fiberglass bodywork had been nibbled, and the seat wasn't in any kind of presentable condition, and yet the 917 was otherwise supremely preserved. Everything from the wheels and headlamps down to the paintwork had been kept in relatively good nick. The restoration of the car was said to be carried out with immense care and attention to detail. Each of the wheels was run through an MRI to check for stress areas and small defects that could potentially crack the wheel. Taking the car down to a bare chassis, each of the welds were inspected, and repairs carried out when deemed necessary. A new flat-twelve engine also needed to be sourced, and one was found in the United States to be rebuilt for use in this car. Some of the work that went into the restoration is shown in the video below. Since the restoration concluded sometime in 2005, the car has been occasionally taken out and exercised on the vintage racing circuit. Outside of that, the car is simply being well preserved in its current state for everyone to be able to enjoy. The 2014 Gooding & Company Pebble Beach Auctions will be held Saturday and Sunday, August 16 and 17 at the Pebble Beach Equestrian Center. Check back here for post-auction results as they are available. Barn and pre-restoration photos sourced from Motor Klassik Magazine, current photos supplied by Gooding & Co. I juste watched the last minutes from Le Mans to make sure, and Delaney did not use the #22, nor win the race in the movie. He finished 2nd in the #21 917. You are, of course, correct. It has apparently been too long since I’ve seen the film. The #22 car did indeed win the race, but Mr. McQueen (as Delaney) was not driving it. Thank you for your astute eye, the post has now been modified for correctness. So it would be possible that this “barnfind”was not even born when “lemans”first came into the movietheatres?of course there are thousends of other explanations possible, but it is allways strange if the word “barnfind” appears in a multimillion history.